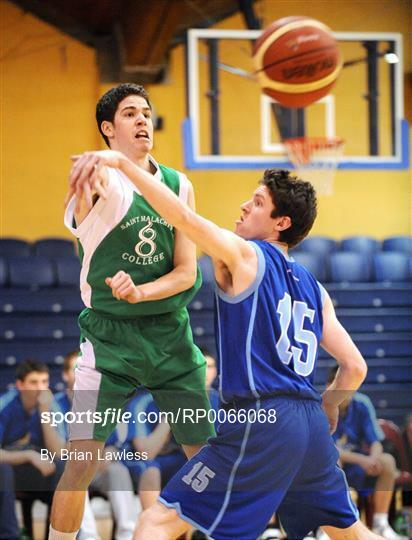 When Tony McGaharan asked me to play in a pick-up game against the Ireland U-16 team, I said sure. It would be a nice practice for TCC’s Wingfoot Summer League, and we’d probably beat up on some kids in the process, no big deal. Except, not so much. First of all, the players were plenty big. When I showed up to St. Malachy’s College on Saturday, July 6, with Tony and his brother, I knew I had gotten myself into something more serious than I had anticipated. The youngsters sported their flashy green uniforms and warmed up seriously with their coach, Paul Kelleher, barking instructions. A pile of blue jerseys awaited my team, a last-minute, pieced-together group of out-of-shape, Belfast-adult hoopers. The green jerseys played with great organisation. For the forty minutes, the U-16s proceeded to teach us lesson after lesson, executing with great precision all the different aspects of the game: screening, moving, passing, aggressive defence, fast-breaking, and shooting. Boy, did they shoot. It seems like at any given time, they had three or four guys on the floor who were capable of knocking the three-point shot down with consistency. I came away impressed with the degree to which each player seemed to understand his role on the floor. Not sure why we were smiling with the final score in the backdrop…. My team, on the other hand, tried desperately to come up with any sort of offensive or defensive strategy. With the game being played at a much quicker pace than our summer league, we were peeling over and sucking air by the time the first quarter ended. Our opponents were in potentially the peak physical condition of their lives, after all. After an unnecessary buzzer-beating layup, the Ireland team went on to win the game 97-67. By then, we were just glad for the workout and that the beat-down was over. “When they work hard, everything else becomes easier,” Kelleher said after the exhibition win. If you’re unfamiliar with the Ireland U-16s, they pull from both Ireland and Northern Ireland, and they’ve been playing together since October of 2011. They split their practices between the places — Cork, Dublin, Belfast — from which they draw players. Right now, they’re training three times a week, but those days can include as much as six hours on the court. Over the course of the next month, the team will travel to places like Luxembourg and Portugal, as well as play in a tournament in Cork and even take on an American Athletic Union (AAU) team from the United States. The build-up is toward the European Championships in Bosnia, where the Ireland group will play eight games in the B Division starting on August 18.